House Resolution 7207 was introduced as a way of addressing the issues surrounding the government receiving donations for the border wall. If the House can pass the bill before the Democrats take control before the beginning of the year, H.R. 2707 would establish the "Border Wall Trust Fund" and allow the government to receive funds for the earmarked project. If passed, the Secretary of the Treasury would have 60 days to establish the account. A website would have to be established so people could donate directly to the cause online. 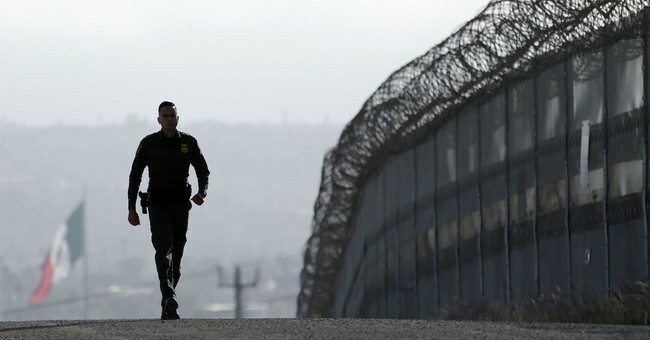 Over the last few days, the GoFundMe campaign to build the border wall along the southern border has raised more than $15.5 million out of the $1 billion goal. But now, Brian Kolfage, the Purple Heart triple amputee veteran who started the campaign may have to return the funds raised throughout the campaign. According to Rep. Bob Goodlatte (R-VA), the Chairman of the House Judiciary Committee, he's unsure about how the donation would work. Translation: there's no guarantee that everyone's money will actually fund the border wall if it goes into the general fund. And, to complicate matters even further, some agencies have to have money allocated by Congress. It remains unknown if the Department of Homeland Security is one the agencies that can accept earmarked donations. One of GoFundMe's terms of services is simple: the funds must go towards intended purpose. If Kolfage turns the money over to the feds and they don't use it to build the wall then he may have to reimburse every donor. Brian Kolfage did not immediately respond to Townhall's request for comment.